An Age Old Question: Why Do Dogs and Cats Eat Grass? Why do pets eat grass? It may be normal. Some pets seem to like the taste of grass. Or, maybe they're not be feeling well and eat grass to vomit. (Or they may vomit after eating grass.) There are many theories about pets and grass, but if your pet exhibits an odd appetite (eating non-food items regularly, called pica), or regular vomiting, please contact your vet as soon as possible. This is an age-old question, one with which doesn't have a clear-cut answer. There are many possibilities: they like the taste of grass, they are hungry, they are not feeling well and eating something to see if that helps — kind of like humans do sometimes. Some dogs, meanwhile, just can't seem to resist the first tender shoots of grass in the spring. They aren't sick. They just seem to enjoy the taste. Grass is also part of a carnivore's diet, usually consumed when they feed on smaller prey and consume the entire animal, including grassy stomach contents. 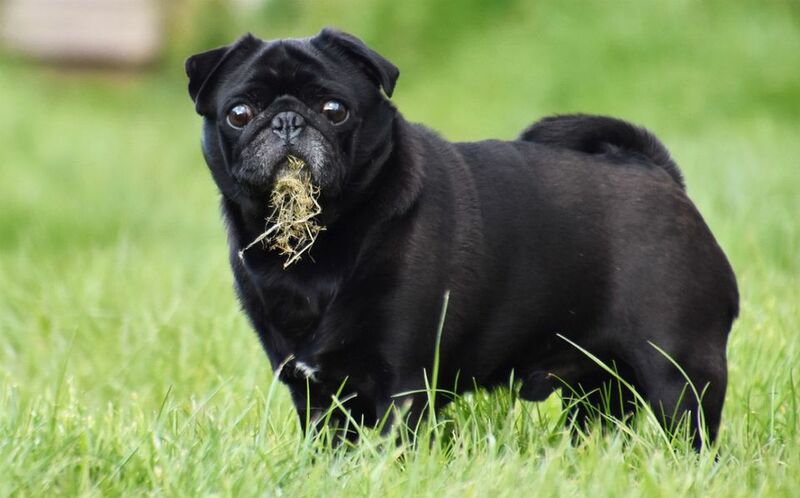 Veterinary researchers have asked this question, too, only to find that "grass eating is a common behavior in normal dogs unrelated to illness and that dogs do not regularly vomit afterward. Vomiting seems to be incidental to, rather than caused by, plant-eating." Most dogs do best with 2 or more small feedings a day, rather than one large feeding. It's more optimal for cats to feed on several small meals throughout the day. Whenever possible, giving dogs and cats free choice (food available at all times) is best. This aids in weight control, where food is no longer a "big deal" and helps maintain digestive health. This is not always possible with many pets and busy lifestyles, but for some pets, it works great. A commercial diet or well-prepared home diet should not be lacking in essential nutrients. If your pet has an empty stomach, bile may reflux (flow back up into the stomach from the intestine), and this is irritating. This can cause your pet to vomit clear, yellow fluid. Any time that your pet experiences a lack of appetite, eating odd items (pica), or vomiting, it is always best to check with your vet. Gastrointestinal blockages are emergencies. Changes in appetite or vomiting can also indicate internal disease (kidney failure, hyperthyroidism, etc. ), toxin ingestion, or infectious disease, just to name a few possibilities. It's always best to check things out with your vet.